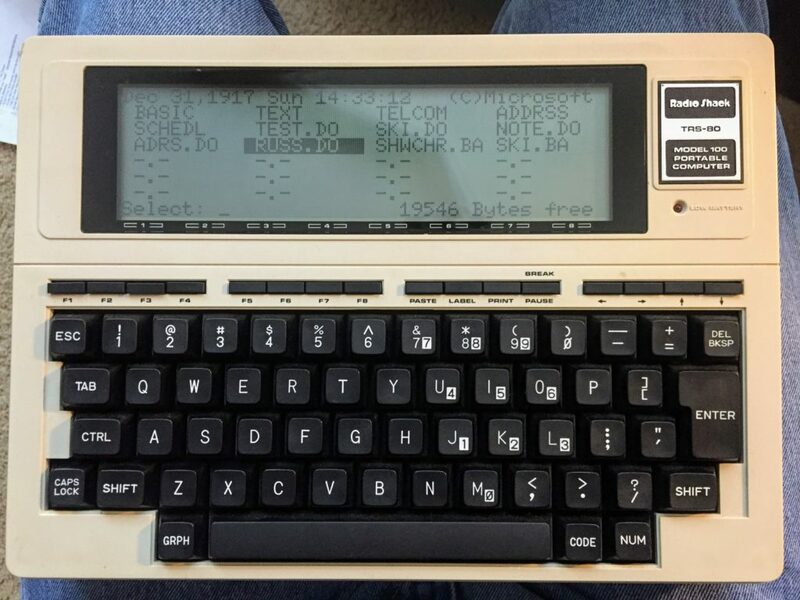 Now, when working at home I spend most of my time coding and writing on my retro-fitted TRS-80 PC running Ubuntu, but when not there it is either a laptop or smart phone. Mobility is something we take for granted and that freedom to go anywhere with that computing power has changed our lives and has even created new business models like Uber and Lyft which is just amazing when you think about it. Now while I can not imagine not having my iPhone, laptop or tablet, it was not too long ago that the idea of having a computer on the road was revolutionary. One of the earliest “laptops” was the TRS-80 Model 100, a marvelous machine that was very popular with writers and journalists for its core features of a full-sized keyboard, simple text editing and the ability to use its built-in modem and send your documents back to your office computer. This computer has been on my collection bucket list for sometime and when I got it over 6 months ago I was not expecting it, I was actively chasing a different computer, the elusive Sinclair QL – which I still do not have :-(, when I stumbled into a great deal on the Model 100 and scooped it up. I am not the only person that has a soft-spot for this computer, Bill Gates has referred to this computer as one of his favorites as it runs some of the last Microsoft software that he was heavily involved in the coding personally. 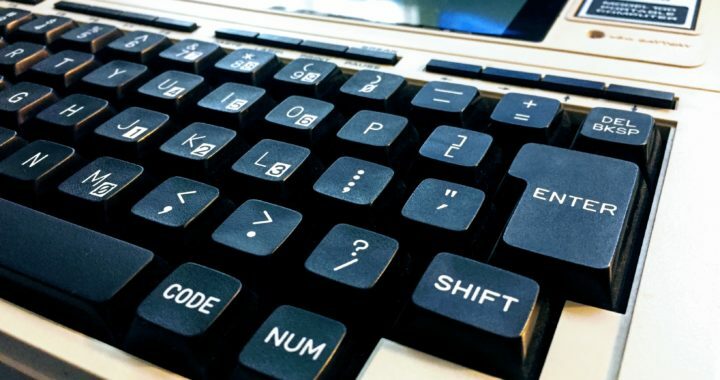 This computer is very fun to work on, the keys feel great to type on and as long as your work involves typing words for a “document” or coding, then you have everything you need. Well, as long as the code you are writing is in BASIC, the built-in language (and operating system for that matter) that controls everything on this machine. The user interface is a simple grid view of files that you select using arrow keys and built in function buttons. Selecting a file takes you into that file and allows you to edit it. While it lists capabilities like address book and scheduler, all of the programs (other than the basic interpreter) are essentially the same program, allowing you to edit text. All of the control you have over the files you edit is based on how you structure the files and codes you use, but in reality, you are really just creating fancy shopping lists. The only two functions I find useful on a regular basis is the core text editing (think notepad-lite) and the basic interpreter. As BASIC was the very first language I learned to code in the late 70s, this little machine provided a type of time-machine that took me back to stringing together simple little loops and inputs to create fun games like vertical-scrolling games for racing and skiing. So that is what I did first! Well, that was after trying to set the clock date/time. This little gem is from a time when the year 2000 was expected to be so far off that nobody would ever care about date overflow problems, why worry, we would have flying cars and world peace. Hmm… oh well. To get even remotely correct I had to set it to 1917 instead of 2017 (see screen shot above), but this allowed me to set the day/time correct and it has been correct for many months now (on the same double AA batteries installed when i got it!) And yes, I did start taking the pics for this article on New Years Eve 2017 at 2:30pm! This little machine is just amazing. Now while writing simple BASIC programs is fun, my plans for this machine is similar to all of my others, connectivity. 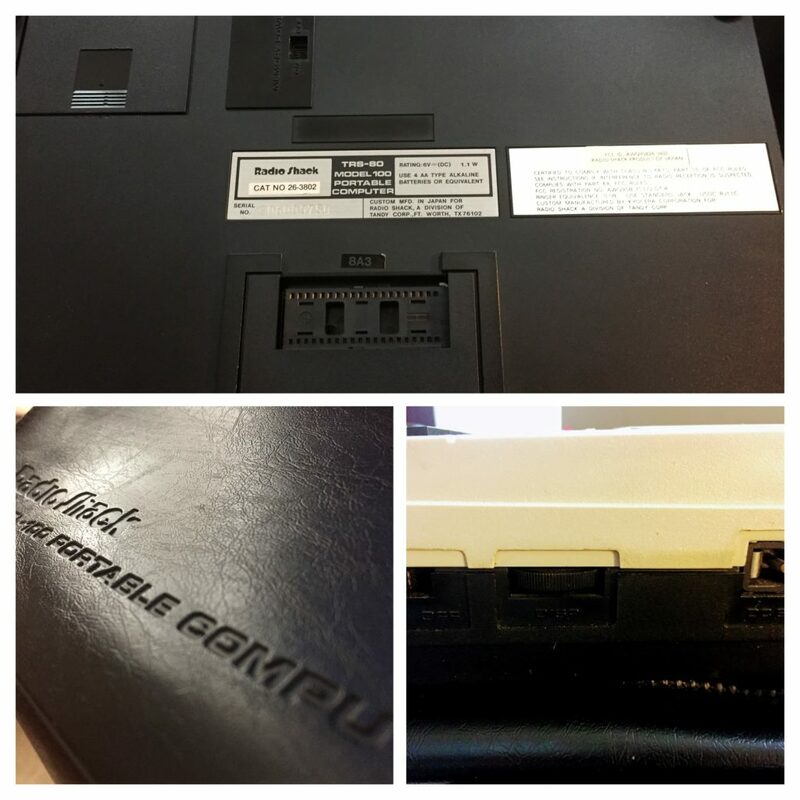 I am looking to connect this little laptop to my desktop machine first, then eventually to the Internet. 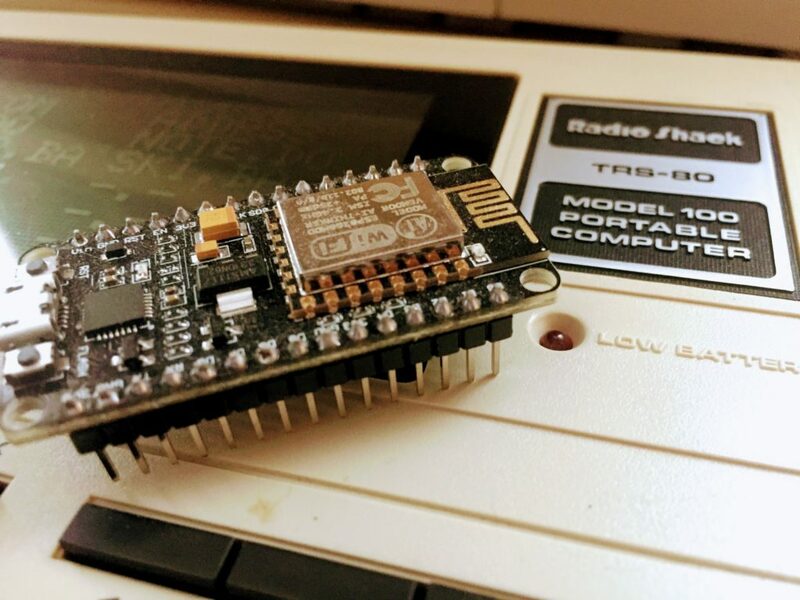 While I do not expect to surf the web, I would like the ability to potentially connect the interface through an external proxy device like my ESP8266 that is running a terminal emulator and connecting to a remote machine. Being able to wirelessly SSH into a machine (via the ESP8266) and have keyboard control over my cloud servers would be a blast. Now this project is really tied to many of my other projects (this the same goal I have for many of my favorite 8-bit and 16-bit computers), so we will see how long this takes me to achieve it. I will try to update my progress as each step is achieved, with the first being just connecting via cable to my desktop Ubuntu machine for file transfers. 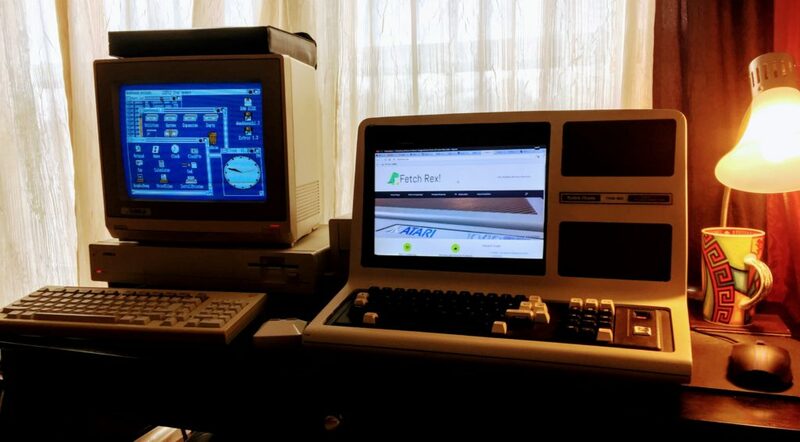 I hope you get a chance to leave a comment, I would love to hear from anyone that enjoys this machine today or in the past and also from anyone trying to connect older machines to the net! Posted in Retro Computing and tagged Amiga, laptop, mobile, Retro, TRS-80.